Here FontViewOK can help. 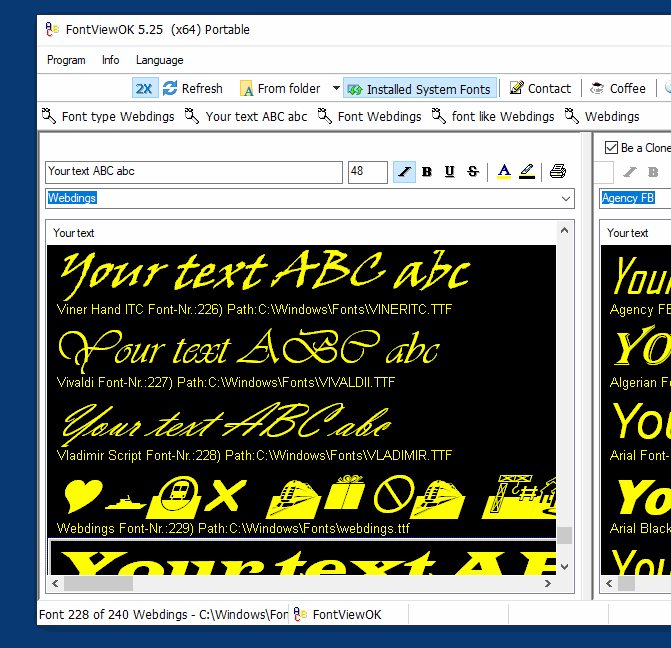 The program creates a quick visual overview on all installed fonts and helps to compare the font. 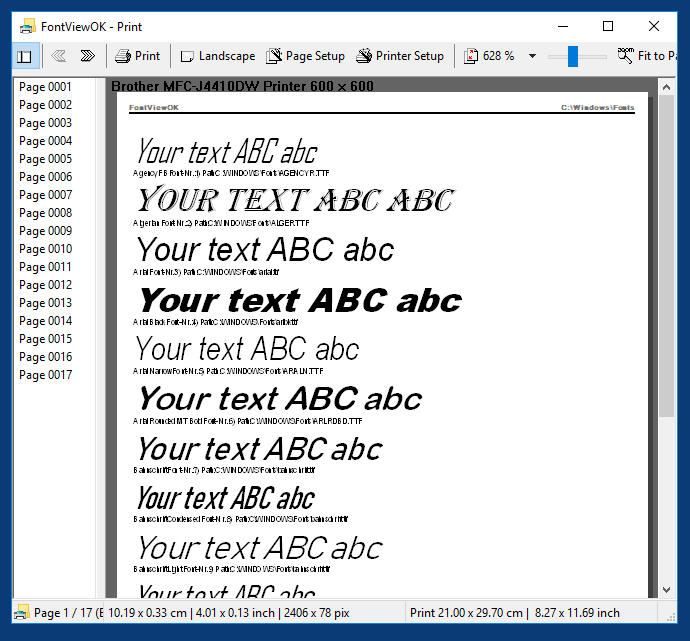 # Quick overview and comparisons of all fonts. 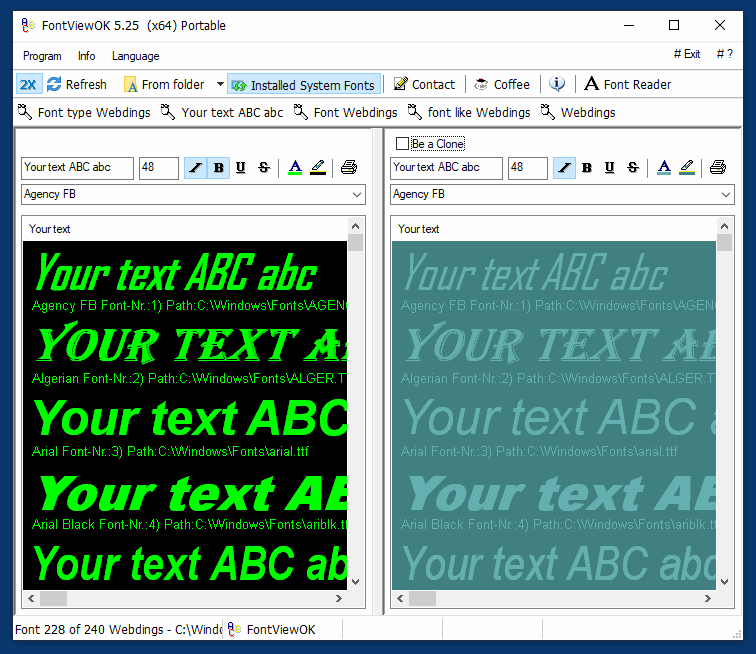 # Dual font preview for quick comparisons of fonts. General optimization fand small correction in FontViewOK! 2. An optional translations feature for people in their country, over the menu item LNG. Thanks to John v.d. Camp and Fred de Vries for the Nederlands language. 1. Small changes and some improvements in FontViewOK. 2. New language in FontViewOK: French (Canada). I added FontViewOK to the database. Checker wrote: I added FontViewOK to the database.